Trending at $489.98eBay determines this price through a machine learned model of the product's sale prices within the last 90 days. Club Cocktail Dress. Input: HDMI, VGA, USB, AV-IN,IR. Lens: F125. Celebrity Dress. Contrast ratio: 22 00:01. Hope you could understand. Languages supported: 23 languages, English, French, etc. Speaker 5 W 2. Nebula by Anker - Mars Lite Portable HD Video Projector D2321 w/Adapter. Enjoy your own personal theater with the quality this projector provides! The Screen is much more clear than the photo shows! I bought this to do a review and only used it a few hours. LG PH450UG Portable LED Projector. Condition is Used. Shipped with USPS Priority Mail. 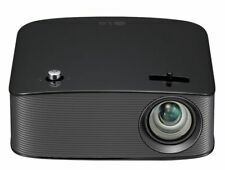 Acer H5360 DLP Projector H7P0901 720p EY.K0701.020 HDMI. Condition is Used. Shipped with USPS Priority Mail. Bought this new never used it. Enjoy. Club Cocktail Dress. Input: HDMI, VGA, USB, AV-IN,IR. Lens: F125. Celebrity Dress. Contrast ratio:22 00:01. Hope you could understand. Languages supported: 23 languages, English, French, etc. Speaker5 W 2. UO Smart Beam Laser Portable Projector. Even better, it's small enough to fit in your briefcase or bag. 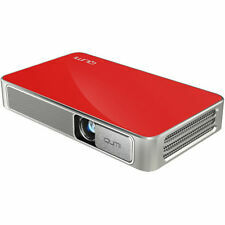 The projector also uses a long-lasting LED light source, which provides a cinema-quality movie experience. 1280 by 720 (720p) native resolution. 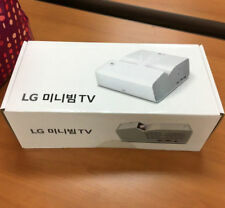 LG MiniBeam PH150B Portable HD LED Projector complete in original box. Hasn't been used much! Includes: projector, remote, power adapter, printed materials, and original box. Bluetooth: Wireless audio streaming to Bluetooth-enabled sound devices. DLP HD Resolution (1280 x 720). Auto Keystone Correction. Great little projector with Light-up "Touch Button" top. (good build quality). Key Features. LGElectronics PH30JG HD 720p Mini LED Projector with Built-in Battery and Bluetooth & Sound. PH30JG Mini Projector. Double feature, anyone?. The PH30JG enables portable freedom plus wireless convenience, supporting Bluetooth audio out and Screen Share. Video Modes: 720p, 1080i, 1080p/60, 576p, 480p. Display Type: DLP (3). Projector is in good working condition. We were not able to pull out the hours on the lamp. We were told this projector was installed and practiCally removed due to no demand. TESTED mitsubishi electric hc1500 dlp projector HDMI Fast Shipping! Pictures of actual projector you get. powers on and I hooked a DVD player to it and it projected great. Settings say the bulb has 1962 hours. Includes power cable but no remote or other cables. Club Cocktail Dress. Input: HDMI, VGA, USB, AV-IN,IR. Lens: F125. Color: 16.7K. Hope you could understand. Languages supported: 23 languages, English, French, etc. Speaker 5 W 2. Output: 3.5mm Headphone. SHARP Projector XV-Z10000, DLP, SharpVision with Mount, with New Bulb!! 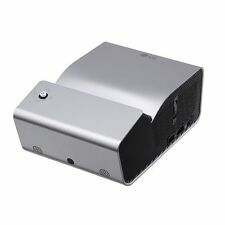 SHARP XV-Z10000 Projector DLP SharpVision Mount Included Remote control Included New Bulb! 4.5 out of 5 stars - SHARP Projector XV-Z10000, DLP, SharpVision with Mount, with New Bulb!! 2 product ratings2 product ratings - SHARP Projector XV-Z10000, DLP, SharpVision with Mount, with New Bulb!! Compact HD Projector w/Android ! !Free Shipping!! Display System DLP. HD 1280 x 720 Native Resolution. Native Chip Resolution 1280 x 720Â (HD). USB Type-A, USB Type-C, HDMI with MHL-In. Inputs/Outputs 1 x HDMI with MHL SupportÂ Audio/Video (Input)1 x USBÂ Type-A Female (Input)1 x USBÂ Type-C Female (Input)1 x 1/8" (3.5 mm) MiniÂ Audio (Output). 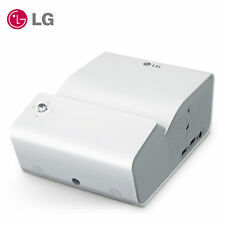 LG Minibeam LED PH550 Projector with Built-In Battery. The PH550 has a wireless mirroring function that connects it to a smartphone or a tablet accessing content for projection¹. LG PH550 is an LED projector with TV functions. Includes the projector shown in pictures ONLY (Doesn't have remote, cable, adapter, or any other accessories). ● Noise: 32 dB. Video (RGB/Component), DVI-D. RGB (RGB/Component), Component. ● Connections: Composite, S-Video, 15-pin.